Hot to cold and back again – how cool is that? Speed and convenience are probably the two key factors for catering success and no-where is this seen more than in the revolutionary heated and chilled display plate from Catertherm. The hot and cold plate offers ultimate flexibility for all food service providers. One single plate that has the capability of offering any temperature between -5°C and +140°C and all at the push of a button. It’s also fast. Just 20 minutes to transfer from cold to hot and less than 45 minutes in reverse. Our hot and cold plate is ideal for most customer facing food service situations. For example, we’ve supplied busy outlets such as Moto Services, Cherwell Valley, a number of Holiday Inn restaurants, University refectories including Oxford and Glasgow, workplace dining rooms at Glaxosmithkline (GSK), Amazon, Google and top London Hotels and restaurants. All offering a food changeover such as breakfast to lunch to Dinner or buffet variation. This also makes the hot and cold plate ideal for gastro pubs and event caterers as it will keep food at an optimal temperature and ready to serve. The unique, patented, one plate design is the perfect complement to the modern-day servery where space is usually at a premium. Including the compressor, the unit is just 150mm deep, providing plenty of under-counter storage space. It’s also available in a variety of surface options including different coloured glass, stainless steel and the high-tech stone Dekton. They are also available as either a drop-in unit that fits seamlessly into any counter-unit or work surface or as a self-contained table top unit for extreme portability. 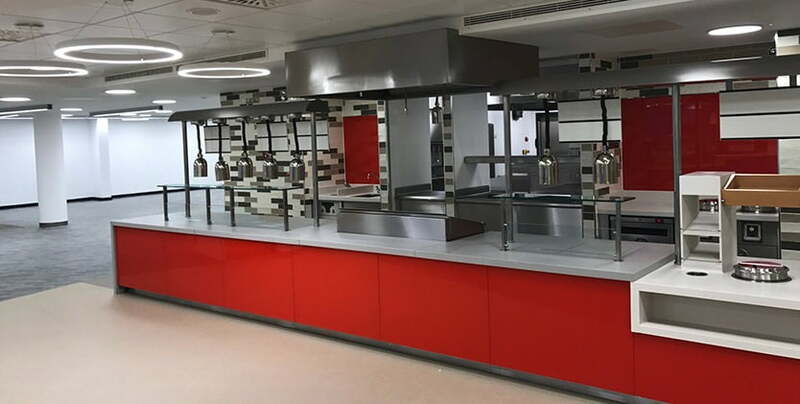 Available ex-works in standard Gastronorm GN1 (330mm x 530mm), GN2 (660mm x 530mm) and GN3 (990mm x 530mm) sizes, we can also supply bespoke units to fit most demanding spaces including roll out surfaces and gantry assemblies. All our units are 230v and ready to plug in.